Today is Canada’s 143rd birthday. Happy birthday Canada! I’m a proud Canadian. I love this country. Canada is a place of small cities and large towns. Even today as a country of 34 million people. We look one another in the eye when we walk down the street, and we’re not afraid to smile in recognition. It’s a place that allows me, my family, my friends, my neighbors to live the life that we want. It’s a country of peace and tolerance. I don’t know anyone who owns a gun. Canada is a country that celebrates diversity. I grew up assuming that people would come to Canada from around the world and they would continue to live and celebrate their unique heritage and culture. Our Charter of Rights has embedded our freedoms in our Constitution. Thank you Pierre Trudeau. Thanks to our British heritage, we have a Parliamentary system of government. Not perfect, but perhaps the best system of government. And in Canada we’ve turned minority parliaments into working governments. Here’s to the CBC, the Canadian Broadcasting Corporation. You give us a window on our own experience. In Canada we have the metric system. And car speedometers that display both miles and kilometres. Because we do love to take vacations in the United States. Canadian spelling. Let’s always remember that neighbour has that “U” in it. Here’s to our weather. Only in Ottawa, Canada’s capital, can I awaken to a sunny July 1 Canada Day morning and discover that the temperature is 12°C. You’ve got to love living in a country where you can get any or all of the four seasons on any day of the year. 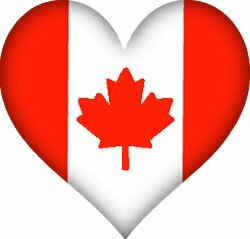 Most of all, I love the people of Canada. I’ve been fortunate that my work has required me to travel extensively. And wherever I go in this great country, I feel welcomed by other Canadians. Friendly, peaceful, happy people. July 1. Canada Day. A day to count our blessings. A day to celebrate all the things, large and small, that make our country great.